I’ve had the pieces for this project cut out for months. It’s a Simplicity pattern for a Tudor-style doublet or pour point. 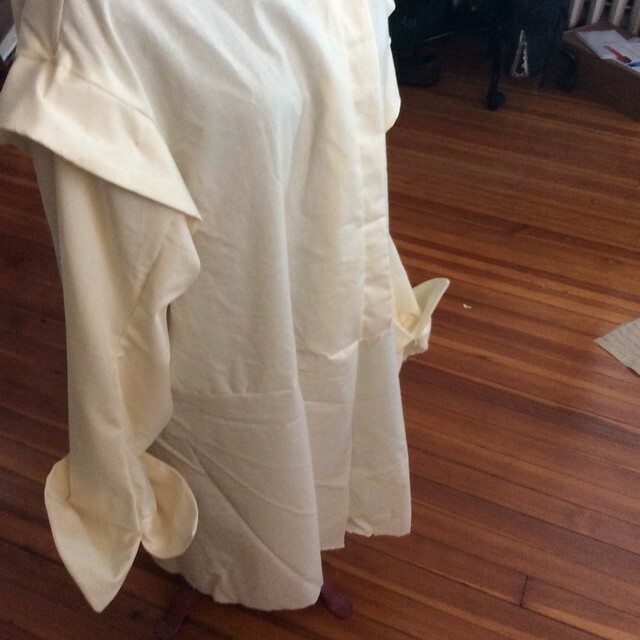 I finally got a chance to be at home today, and assemble the muslin pieces into a completed garment. No lining, no trim, no fancy bits — just the basic outline of the garment. But some of it is that I genuinely don’t know where I would wear this, or when. And making a fancy, elaborate Tudor doublet without matching pants, without having a costume party to go to, means that the garment is relegated to one or two days in very late October… In the case of this garment, it appears that it will be a lot of work for a garment that I don’t much like, and can’t imagine wearing most places. Back to the drafting board.